For many, waking up this morning brings with it a break, Spring Break. As it happens around the world, when there are scheduled breaks it is common for families to head to a destination to relax, many find warmth if they live in a colder climate, and treat themselves to a few days of uninterrupted quiet time. Of course what that quiet sounds like depends on those tagging along. 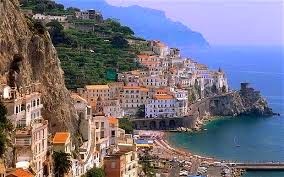 While traveling a few years ago abroad I was able to witness a break in the school year in the small town of Sorrento, Italy along the Almafi Coast. 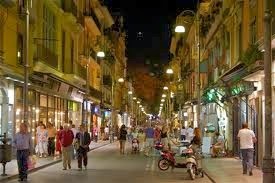 Families were hustling to the beaches by day and taking over the busy streets by night. What I found most unique was that just like many of the traditions we have, the families in Italy were almost identical in their planning. Simply find warmth, surround yourself with family and indulge yourself in conversation of reflection of the time past, present and well into the future all intertwined in the banter. My surprise was not in the fact that a town some 4800 miles away was also having a break, it was more in the realization that this digitally driven world is more identical in its deepest roots of traditions, schooling and prioritize. As educators we rarely "stop" in the work we do. Safely speaking, our jobs are 12 months out of the year. Whether teaching each day, growing ourselves professionally during "off months" or simply bringing our work at home in the evenings, many times emotionally, rarely can we leave the work behind. It is the nature of our profession. As creatures of habit, just like the people of this small town tucked into some of the most beautiful cliffs of the Mediterranean Sea, we need to allow ourselves to take a break from the work we do. Sure enough, upon the end of the 7 days, we will once again be back into the hallways and classrooms and make the difference we pride ourselves on. And with that, comes some of the greatest rewards we can have. Regardless of your destination, near or far, pledge to yourself that you will treat yourself to a break of sorts. Take time to rejuvenate before the hustle of the season ahead. You have earned some time to yourselves, take it. What a student recalls from a teachers lesson often comes from the experience of how it is taught. In the world of education teachers are looking for ways to reach their students through authentic, real-life experiences with the intention of students grasping as much of the information as possible with the hopes they can apply that knowledge in future opportunities. This much we should know. Being in classrooms (whether in the informal visit, walk-through's or formal observations) I have been asking, and more importantly listening, to students share about the lessons their teachers are delivering. Teachers are also being more intentional about listening to the voice of their students and connecting the feedback they are getting and applying it to future instruction. 7th Grade Science Lab with Mr. Ribar in which they crushed a can through the lesson that was teaching them about the exchange of energy. A hand's on, get dirty (carefully) experience. Finding an appreciation for Art with Mrs. Murlin through using devices and QR codes to find examples in the world through the use of the internet. Working in collaborative groups to create a time-line of events in Social Studies with Mr. Swallie as he provides them with an unorganized set of facts that the students have to organize through dialogue. In Language Arts the entire Department holding Socratic Seminars where students share their experiences of their reading and writing while the teacher plays the role of facilitator. In the conversations with my students as I pass through classrooms they are sharing like never before. They have so much to say. We need to listen. Students are passionate about their voice. Not only in what is on their minds but also for the experiences that occur at school. They are willing to talk about what is best practice and what they consider to be authentic learning. And surprisingly, or maybe not a surprise at all, they know exactly what that looks like. As long as we continue to listen, and apply what we hear, teaching and learning will continue to grow in it's impact on the world of education. 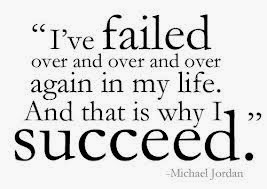 As educators we will each have our share of successes and failures in the work we do. In working with my staff I continue to reflect on my role as the building leader. Below are a few take-aways. This list is by no means is the "end all, be all". It's a start, my start, to what assists me in being the best I can in my role. 1. Listen - There is always a time to give direction and be the voice of the room but take a breath and hear what is happening around you. Whether from your students or your colleagues everyone has something to share when it comes to the craft of teaching and learning. Tune-in. It could be exactly what was needed to be said. Make sure you can hear it. 2. Be Visible - Nobody likes a leader that leads from behind an office door. Get in the trenches, validate a teachers work and make sure your students see you as an invested part of their learning. Don't become the "figure head" and don't be the principal they don't talk about 10 years removed. 3. Contribute - Now that you are out and in the trenches, don't be passive. Say something, anything, that would enhance the experience in learning. You don't want to interrupt the teacher at the pivotal instructional moment in their lesson, but make sure you interact as you are completing a walkthrough. This is a great chance to get feedback from students on their learning. 4. Model - "Practice what you preach" and your teachers will follow. If you want teachers to dabble more with instructional technology then your next staff meeting better have the same when you are the one in front of the class. If you want teachers to use the Gradual Release Model in their teaching, same goes for professional development days. 5. Be Transparent - Next time a mistake is made, own it. Show your faults, expose your errors and acknowledge when a direction needs to change course from a lesson than perfect decision. Smoke and mirrors will destroy the climate. Be transparent and teachers will be more willing to try, and maybe fail, and try again. 6. Mourn - Teachers are asked to change what they teach and how they teach often. Give them time to say goodbye and bury past practice while you work with them to incorporate new best practice. 7. Laugh - Everyone needs a good chuckle to get through the day. As long as it is not at your expense, make sure to offer up a moment (often) in which you are reminded to not take the work too seriously. Work hard, play hard as they say. This includes a good old fashioned belly laugh to keep the spirit going. 8. Celebrate - Don't save the party until the last day of school! Too often we think that the last day is the culmination of a successful year. Truth is, there is a celebration every day and we should celebrate each time a child discovers their greatness! Find it, celebrate it! Thought of more? Add them to the comments section below. 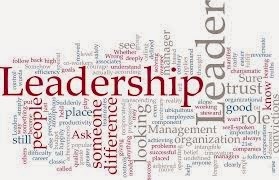 And in the end, assuming you can embed these into our work, you will be a leader that truly knows how to lead. Being digitally connected is an absolute must as an academic leader in today's schools. The various platforms from which you can connect to your audience grows daily. 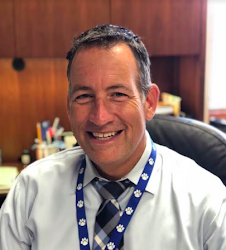 Administrators and teachers alike are connecting multiple times over each day with their stakeholders through Twitter, Facebook, webpages and a multitude of other resources. One has to actually try to be disconnected. Agree? You can determine your own digital path. Now, more then ever before, you can mold the shape of your footprint. Whether or not you are relevant for your perspective, your insight or your intuitiveness is a direct result of the effort you put forward in sharing the knowledge that you posses. You can share this knowledge through a variety of mediums. What was once a face-to-face opportunity has become global exponentially. Either as the teacher, or the student, you have the ability to control your identity and your message. How will you create your digital footprint and will you control your message? Your interactions with others, either by device or in person, will set that answer in motion. We need to remind ourselves that we control who we become digitally. We are constantly making our footprints one step at a time. 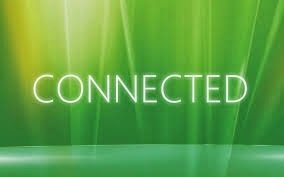 We are becoming more connected each day. If everybody else is writing, blogging, posting and sharing their experiences, articles and insight, why should I bother writing myself? Can I possibly have anything to say that hasn't already been said? There are hundreds, no, hundreds of thousands of bloggers and millions of thoughts on Twitter. It is impossible to keep up with everything that is out there. On top of that, the stuff I am reading at that moment is already old news by the time I get to it. That can be frustrating. The reality is it can be difficult to keep up with all the information that is out there. So why bother? Then I found my answer as I stumbled upon a blog. Yes, a blog. Seems ironic, doesn't it? The reasons that Joshua Becker writes about I agree with whole heartedly. He gives 15 reasons. I narrowed my list down to just 5. Check his entire post here. With help from Mr. Becker, here is my condensed 5 reasons to blog. 1. Get smarter, often. When I write, my mind is going a million miles a minute, and that is a good thing! Never sitting still, the mind is hard at work creating and solving problems or scenarios of the day. 2. The new people you will meet. Creating a PLN through the craft of writing, posting, tweeting and responding has been educationally rewarding. Connecting with people globally is powerful. 3. Inspiration everywhere. I have never claimed to be "the smartest person in a room". 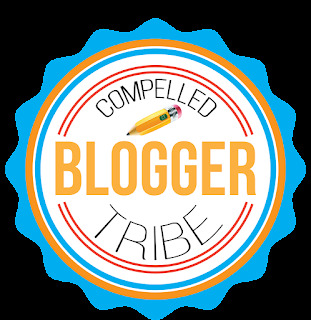 Blogging affirms that (in a good way) and gives people a chance to see not only what I can write about (the good and the not so good) but also what they can add to the world through their own writing and sharing. 4. Confidence does wonders. 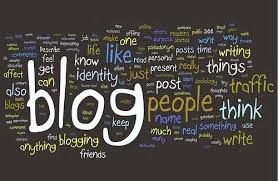 Blogging will help you discover more confidence in your life. You will quickly realize that you do live an important life with a unique view and have something to offer others. 5. Lead by example and be better at it. When you share, you learn. When you write, you reflect. When you blog, you gain insight to the other side of the story. People recognize your growth as a leader and it will improve the climate of where you work. As you scroll through the countless blogs and your twitter feed and the pages upon pages of information, make sure you know your reasons for blogging (and tweeting). Make that connection and find your purpose. And hopefully for you, like it is for me, it's worth the bother. Sometimes you don't have to search very far for something to write about. This one came pretty simply and rather emotionally this evening. It serves as a reminder of why we chose to be educators and how we continue to embrace and appreciate our positions, our opportunities. We have many reasons to be proud of our teachers and our students. This is another. A powerful moment for our parents, our coaches and our kids. These young student-athletes have made a difference that they will only fully understand as they grow themselves. Just thought I would pass this along. Earlier this week Stephanie was asked to take our 8th grade girls softball team out to the Woody Hayes facility at Ohio State. Since she hasn't even had tryouts yet, she put together a team from last year and they all met a couple hours ago off of Lane Ave. 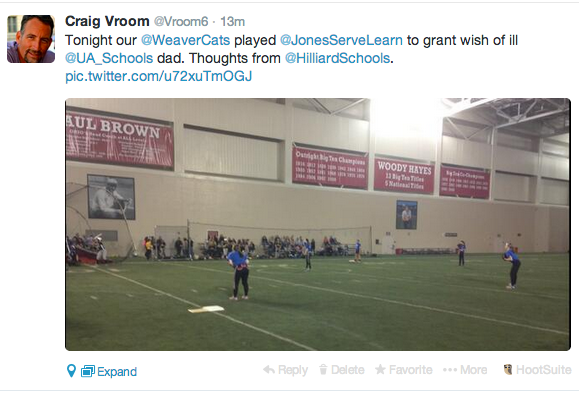 Here is the "why"... A dad from Jones (Upper Arlington) is terminally ill and the doctors have said his time has come. Since the regular season is still a few weeks away, and he wanted to see his daughter take the field one last time, they arranged the facility and asked our kids to be the opponent. Be proud of the role you play in the lives of our students. Whether it is an academic experience or an activity such as this, we all make an impact on the people they become. You each do your own part, one moment, one experience at a time. We've all heard it, doing more with less. Whether in education, with our finances or with our time, it is phrase that we continue to try and get our arms around. It is no easy task. Listening to various educators over the weekend, this phrase echoed in my head multiple times. Over 160 strong convened in Clark Hall at 8AM on the first Saturday in March to talk education. Clark Hall is known in central Ohio as being one of the first unconventional, state-of-the-art, non-traditional academic settings for secondary students. Since its dedication in August of 2011, multiple complimentary buildings have opened across the county, state and country. The location was perfect for the day that was about to unfold. The topics were decided on the fly and suggested as we gathered around "the board". The sessions for the day would include: Grading Practices, 1:1, Differentiation, the OTES process, all types of technology integration, Personalization, Genius Hour and more. Our own professional experiences were as varied as the topics. The room was represented with pre-service teachers, first year teachers and administrators to seasoned veterans of the educational world from the classroom to technology teachers and directors. A perfect cross-section of education. So it began. Discussions were underway and were difficult to end. We stayed on task, if that is even possible, and we never looked at our watches. The creativity was flowing, the innovation was more than just the space. We were our own presenters, we carried the dialogue, we made it about what is happening now in education and what we could do to be better for ourselves and for our students. Opinions were respected and information shared. 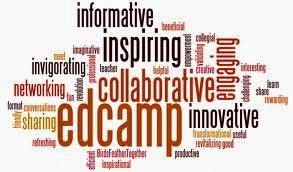 So here in lies the question: Can we take the philosophy of an EdCamp and infuse it with the many topics that schools/districts need to cover as part of a professional development meeting? If the district in which you work has "PD Days", is it realistic to think a staff could come together in the morning and create their own "board". 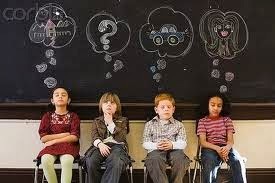 Would we have teachers that would step up and fill a slot? 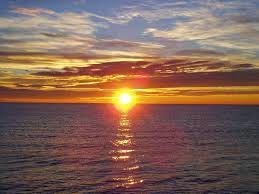 Could we stay focused for the morning and the day? Would the professional development of the day serve the expectations of those involved? Would we be able to do more with our staff and the professional development they need with less structure than traditionally used in the past? 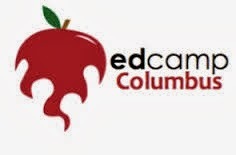 For those that have been to an EdCamp, and experienced the passion of the day, my guess is it's worth giving it a go and applying the idea of doing more with less.